Mobile phones have become an inseparable part of our lives, keeping us connected with the world. There are thousands of mobile handsets available in the market. But which are among the best in the world? Well, the top-10-list.org gives such a list. More than 50 million iPhones have been sold worldwide, making the iPhone an iconic gadget. It combines three devices into one: a mobile phone, a widescreen iPod, and a breakthrough Internet device, says Apple. You can make a call simply by tapping a name or number in your contacts or favorites list. The visual voicemail lets you select and listen to messages in whatever order you want - just like email. iPhone uses fast 3G and Wi-Fi wireless connections to deliver HTML email, Maps with GPS, and Safari, the most advanced web browser on a mobile device. You can listen to music, movies, TV shows on a 3.5-inch display. 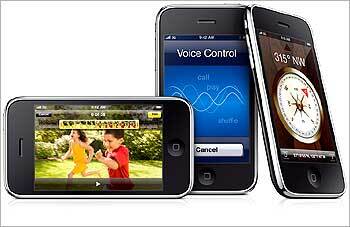 The price for the iPhone 3G S starts from at $199 while the iPhone 3G price starts from $99. 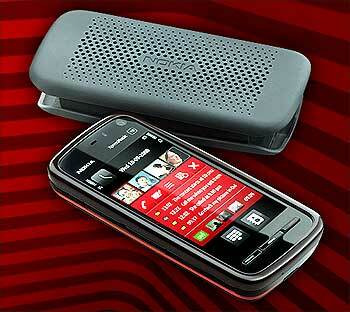 Touted as Nokia's answer to the iPhone, the Nokia 5800 XpressMusic is jazzy phone with a colour display. The device has variety of input methods: stylus, plectrum and finger touch support for text input and UI control (alphanumeric keypad, full and mini qwerty keyboard, handwriting recognition). It connects to mobile broadband using WLAN or HSDPA (3.5G). It helps you find directions and locations with the integrated A-GPS and included maps. 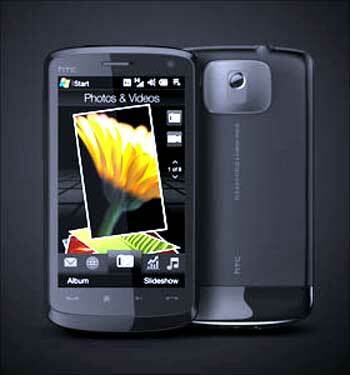 It also has a 3.2 megapixel camera with dual LED flash, Bluetooth 2.0, and USB 2.0 high-speed. It is priced at Rs 16,500. 3.2-inch 16.7M touchscreen (resistive), 360 x 640 pixels resolution (16:9 display ratio). Accelerometer for auto screen rotation. 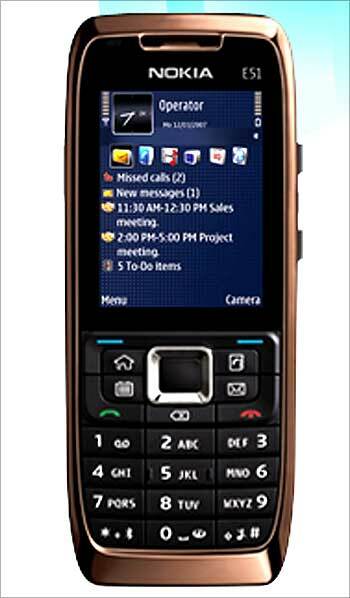 3.2 MP AF Carl Zeiss lens, dual LED flash, 3x digital zoom and geotagging support. FM Radio 87.5-108 MHz with RDS (max. 20 stations). MicroSDHC card slot (up to 16 GB) and 8GB card included in box. Micro-USB 2.0 connector, Bluetooth 2.0 (EDR/A2DP/AVRCP) and Wireless LAN. Nokia scores high with this trim profile phone and a 3.2-megapixel camera. QuickOffice let you create, edit and send Word/Excel/PowerPoint files easily and can browse PDFs with Adobe Acrobat Reader. 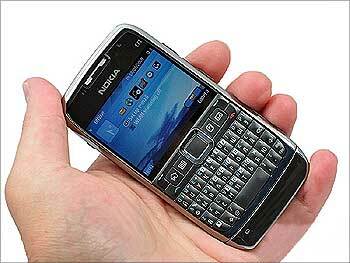 The Nokia E71 is among the best-equipped Nokia smartphones. It's quick and compact with great connectivity. It is priced at Rs 18,500. 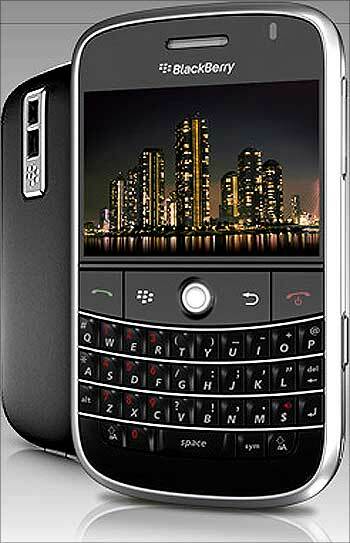 Flawless connectivity, a great screen and one of the most comfortable qwerty keyboards makes the Bold 9000 great smartphone. The BlackBerry Bold smartphone embodies elegant design - without sacrificing the features or functionality you expect from a premium smart phone. The XPERIA X1 is a high-end smartphone from Sony Ericsson, manufactured by HTC Corporation, and is the first in the manufacturer's XPERIA series. The X1 is an arc-slider phone with the Windows Mobile 6.1 Operating System. 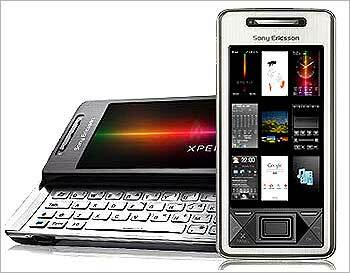 It is Sony Ericsson's first mobile phone to feature Windows Mobile. The device also has a Java virtual machine (JBed) and supports JavaME. With the HTC Touch HD phone, you can enjoy music videos, films and streaming like you never thought possible on a mobile device, says HTC. It offers fast internet browsing option. The ultrafast 3.5G technology lets you surf and download at true broadband speeds. On HSDPA networks, the Touch HDTM delivers downlink speeds of up to 7.2 Mbps there is no need to slow down while you work or play. It is priced at Rs 42,990. 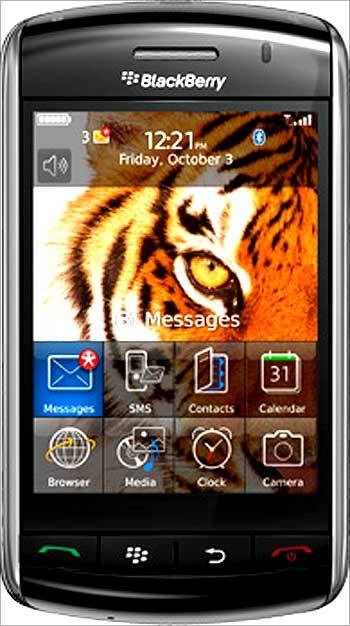 Designed for the needs of Internet-savvy consumers, the Nokia N97 combines a large 3.5" touch display with a full qwerty keyboard, providing an 'always open' window to favourite social networking sites and Internet destinations. It is priced at Rs 37,000. 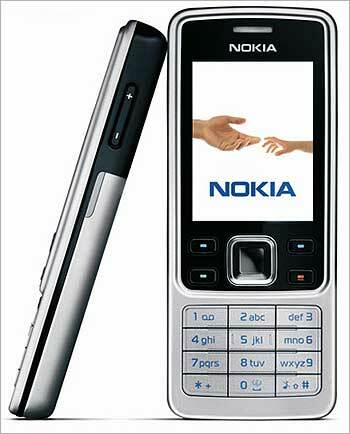 The Nokia 6300 offers a robust range of easy-to-use features, including a 2 megapixel camera with zoom, expandable memory, built-in MP3 player and FM radio. The phone is priced at Rs 6,700. 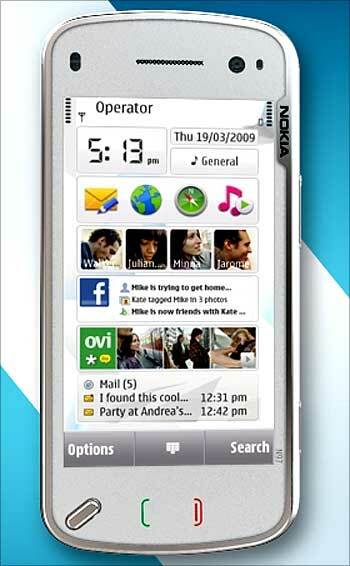 The Nokia 6300 has a talk-time of up to 3.5 hours and a standby time of up to 14 days. The slim and elegant Nokia E51 adds greater simplicity, faster access and tighter integration to key applications, while maintaining the smartphone capabilities and stylish design that customers have come to expect in a Nokia Eseries device. An all-round device, Nokia E51 is ideal for business professionals. It is priced at Rs 10,500. The new Blackberry touchscreen smartphone from Research In Motion is a sleek phone with a 3.15 MP autofocus camera with flash,3.5mm stereo headset capable,3G and Built-in GPS. The new BlackBerry Storm lacks Wi-Fi and FM radio, which is one of its drawbacks. The new BlackBerry Storm has a 3.25-inche touchscreen display screen. It is priced at Rs 27,900. 25 million more kids to go hungry by 2050! Mobile number portability: Will you change?